Pope Francis visited the headquarters of the United Nations Food and Agriculture Organization in Rome Oct. 16 to mark World Food Day, and Agriculture Secretary Sonny Perdue took part in the ceremony. 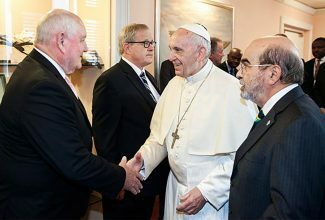 The pope called for governments around the world to collaborate to make migration a safer and voluntary choice, arguing that assuring food security for all requires tackling climate change and ending conflicts. World Food Day is being marked this year as global hunger rises for the first time in over a decade, affecting 815 million people or 11 percent of the global population, FAO noted in a news release. "It is clear that wars and climate change are the cause of hunger, so we do not present hunger as if it were an incurable disease," the pontiff said in the opening ceremony. "The increase is largely due to the proliferation of violent conflicts and climate-related shocks which are also major drivers of distress migration," FAO said. "More and more people migrate because they do not have the possibility to stay in their homes and their lands," said FAO's Director-General, José Graziano da Silva. 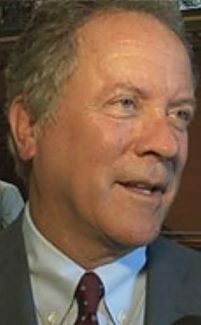 David Beasley, the former South Carolina Republican governor who is now the executive director of the United Nations World Food Programme, made an impassioned plea for peace amid mounting evidence of the links between conflict, migration and rising hunger. Beasley, who has faced questions about why world leaders do not do more to end the fighting, said in a news release that "some day" World Food Day, which commemorates the founding of the FAO in 1945, "will be a celebration of a peaceful and well-fed world." "Sadly, that day seems very far off right now," Beasley said. "We have far too much violence and conflict, and that is why we have more people who are hungry and in need of assistance." Perdue was among several ministers of agriculture from the Group of Seven (G7) nations who attended the ceremony after meeting in Bergamo, Italy. On Twitter (@secretarysonny), Perdue said he and his colleagues agreed rural development must include empowering farmers and that thinking about food needs must include the future as well as the present.